It’s the last day of October and we have dedicated this month to ALL THINGS PUMPKIN! We have brought you Pumpkin Streusel Coffee Cake, Pumpkin Dulce de leche Pie, Pumpkin Bread Pudding with Cinnamon Caramel Sauce, and the unforgettable Pumpkin Spice Cake with Cream Cheese frosting that we featured on Elevate Everyday, but you can find it here too! In order to properly round out our pumpkin dessert collection, we need to share with you a bomb pumpkin chocolate chip cookie. This recipe is a family favorite from my friend Rachel who actually shared it with me years ago before I had a dessert blog and I’m so excited to finally drop this knowledge on all you lovely people. What I really liked about her cookies is that they didn’t slime out as pumpkin cookies tend to do – and they have butter, because she’s a reasonable person, but they also have applesauce adding to the moisture and taking from the fat so they are for sure a lower calorie cookie option than their traditional CCC counterpart. She insists on Guittard milk chocolate chips- which are so creamy and good, but I liked them a touch better with semi-sweet because I’m just drawn that way. Use whatever you like and have a fantastic Halloween! Preheat oven to 375 and either lay down a silpat, parchment or spray a few large cookie sheets. My friend Rachel always doubles this recipe, so feel free to do that, but this makes loads of cookies, so only double if you’re baking for a crowd. She suggests one and a half a bag of chocolate chips if you double. Cream the butter, applesauce, sugar, egg and vanilla. Add the pumpkin to the wet ingredients. In a separate bowl combine the flour, baking powder, baking soda, salt, and cinnamon. Mix the dry ingredients into the wet ingredients and add chocolate chips. My friend insists on the Guittard milk chocolate chips, which are super good, but I did a few with semi-sweet and liked them even more, use whichever you prefer, I think about 9 ounces or 1 3/4 cups was about right, but use as many as seems right to you! Either use a cookie scoop or just eyeball about 2 tablespoon sized cookies and space them on your prepared cookie sheet with some room to expand. Bake for about 10 minutes until cookies are clearly golden brown around the bottom – these are not like normal chocolate chip cookies where you want to underbake them, make sure they are done. Ya’ll know that Pumpkin Season is in full swing, and we want to take advantage of that as much as possible. We want ALL things pumpkin. We are seeing cereal, crackers, candy, cookies, pasta, drinks, etc., etc. doused with pumpkin flavor. We need to feed this addiction morning, noon and night. So, we are starting with your morning. Why don’t you wake up to this beauty tomorrow? I’ve been thinking about a pumpkin coffee cake for a while now and found the perfect recipe over at King Arthur Flour. I only changed one thing with the spices, and I think this cake is going to be the best part of waking up for anyone who has the good sense to make it. Preheat the oven to 350°F. Lightly grease an 8″ square pan or 9″ round pan. To make the topping: Whisk together the sugar, salt, flour, spice, and nuts. Add the melted butter, stirring just until well combined. Set the topping aside. To make the filling: Mix together the brown sugar, spice, and cocoa powder. Note that the cocoa powder is used strictly for color, not flavor; leave it out if you like. Set it aside. To make the cake: Beat together the oil, eggs, sugar, pumpkin, spices, salt, and baking powder until smooth. Add the flour, stirring just until smooth. Pour/spread half the batter into the prepared pan, spreading it all the way to the edges. If you have a scale, half the batter is about 13 1/2 ounces. Spread the remaining batter atop the filling. Use a table knife to gently swirl the filling into the batter, as though you were making a marble cake. Don’t combine filling and batter thoroughly; just swirl the filling through the batter. Bake the cake until it’s light brown on top, and a toothpick or cake tester inserted into the center comes out clean, about 40 to 45 minutes. Remove the cake from the oven and allow it to cool for 20 minutes before cutting and serving. Serve the cake right from the pan. Place the oven rack in the middle of the oven and preheat the oven to 325 degrees. Line three cookie sheets with parchment paper or silpats. In a medium bowl, beat egg whites until just frothy. Add the sugar, almond extract, butter flavoring, and salt; mix well. Stir in the coconut, two cups at a time. Use a small cookie scoop to form the macaroons 2 inches apart onto the prepared baking sheets. Use your hands to mold the cookies a bit and lightly press down the tops. Prepare clean cookie sheets with was paper. Melt the chocolate and shortening and mix until smooth. Quickly, dip half the cookie (you only need to dip the top side of it) into the chocolate and place each one on wax paper to set. Set for at least two hours before ravenously consuming. We posted this pie almost a year ago and since it’s October and all, I felt it was time for an update and re-post because seriously IT’S THE BESSSST!! Now I know that many of you cannot leave your Thanksgiving table without pumpkin pie, it’s a staple of the season and although there are many versions of this pie, rarely does it taste bad, but really and truly – NEVER has it tasted this good! The brilliant and talented Caroline King v1.0 came up with the idea to spread a layer of dulce de leche at the bottom of her Mom’s pumpkin pie recipe, did I mention that she’s a genius? I use my favorite pumpkin pie filling that I’ve adapted from the Joy of Cooking classic, made with cream, not evap or sweetened condensed milk – and it is so creamy dreamy and has a nice firm texture with SO MUCH PUMPKIN FLAVOR! I love it the most. I know you will love it, but I leave you with this warning: This pie will ruin you for Costco pumpkin pie forever – sorry bout that. One 9″ traditional pie crust – I roll thin and easily fill a deep dish, but you can make this work in a 9″ as well. We recommend our recipe, but use whatever you like! After you have prepared your crust warm up around 3/4-1 cup of the dulce de leche – just 20 seconds or less so it’s easy to spread out around the bottom of your pie pan in an even layer. You can take it out of the can and microwave it in a pyrex or just warm it up by putting the can in hot water. Whisk together the remaining ingredients in a large bowl and don’t stress on spices -you can use pumpkin pie spice if you don’t have all of the above. My advice is to take a taste and if your raw filling tastes like it needs more flavor add accordingly. Pour pumpkin filling into your prepared pie crust over the dulce de leche layer and bake for 35-45 minutes until firm – mine took around 48 last time, check for doneness, more than bake time. You know it’s done when it is no longer liquid, it’s okay if there’s some jiggle in the middle, but your pie is done when the sides are bubbling up your dulce layer and the middle wiggles like jello, not like liquid. Cool completely on a wire rack before serving and refrigerate remaining pie which will be delicious for a number of days but it will be gone much sooner than that. I recommend fresh whipped cream with a little cinnamon and sugar or vanilla ice cream – but even on it’s own you will go nuts for it! Fall fruits have never been in a more delicious setting than bubbling with cinnamony juices and topped with a crumbly crunch top in this delicious pear, plum and apple crisp! I am missing the bounty of summer, but honestly there is no summer dessert that can make your house smell like this, and not only does this crisp taste outstanding warm, but it’s life altering cold and completely over the top with a scoop of legit vanilla ice cream. This recipe is very versatile. It’s my own creation loosely based on the Joy of Cooking apple crisp. I’ve made it with apples and blackberries, rhubarb and blueberries, any number of stone fruits or just with apples, and the topping is begging to be messed with too! 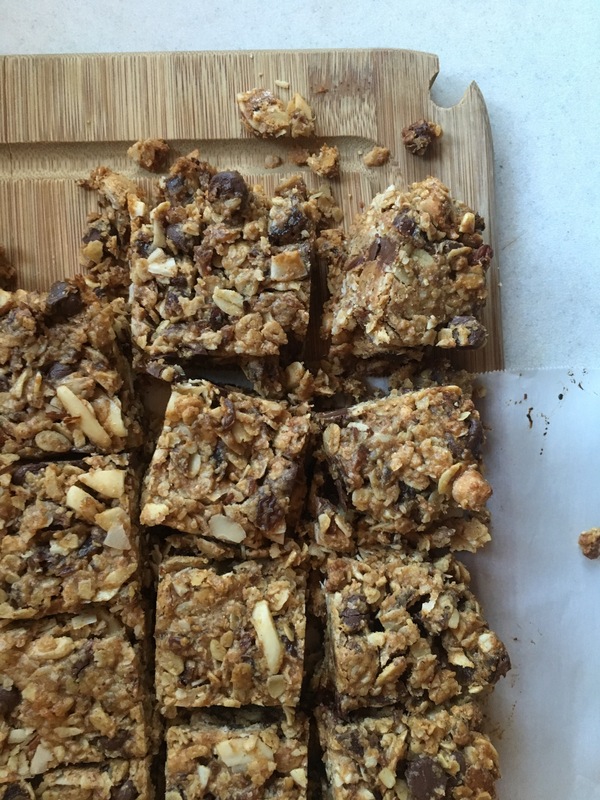 This time I added oats as I almost always do and chopped some pecans into it which was heaven, but you could add any number of yummy things like coconut, dried fruit, or nuts of just about any kind. This is the ultimate in easy desserts which is also handy for this busy time of year, but despite the small effort, anyone who eats it will be convinced you’re a genius in the kitchen! 2-2/12 lbs fruit – either apples, or apples and a combination of other fruit – it comes out to about 7-8 medium sized apples. Peel and chop apples, pears and plums. Prepare a 2 quart sized baking dish by spraying the very bottom. You don’t have too, but I think it helps with clean up. Preheat oven to 360 (original recipe is 375, but I find that burns my nuts so I keep it a bit cooler). Spread fruit into dish and in a separate bowl combine everything but the butter then cut the butter in with a pastry cutter or forks until it resembles coarse bread crumbs. Scatter the topping evenly over the fruit. Bake until the topping is golden brown, the juices are bubbling and the apples are tender, about 45-50 minutes. I usually tent mine at the end just to make sure things don’t get too brown, but you don’t have too. Serve hot or cold with whipped cream, sour cream or ice cream…or just by itself because it’s seriously incredible on it’s own. Refrigerate leftovers, which will be good for at least 4-5 days but they will be long gone before then! The blessed Season of the Pumpkin is upon us! There are spiced drinks, teas, cookies, etc. But have you had a Pumpkin Bread Pudding? Have you had one that has been drizzled lovingly with Cinnamon Caramel Sauce? Have you had your mind blown yet? Well, we Two Carolines are here for you—here for your pumpkin addiction needs, here to support you cozying up to all things spiced up for fall. Basically, we are here to Spice up Your Life like some other friends of yours from the 90’s. Butter a 3 quart baking dish. Whisk eggs in large bowl to blend. Add milk, sugar, cream, and vanilla. Whisk to blend well. Add bread chunks and set sit covered, in the refrigerator, for 30 minutes. Preheat the oven to 350°. Scoop coated bread chunks into prepared baking dish, push down the bread crumbs, compacting the mixture. Add a little extra custard on top, and press down some more. Toss any extra custard. Fill a 9×13 pan filled halfway with water and place on the bottom rack, place the bread pudding on the middle rack. Cook for 1 hour, 30 minutes, or until it is set (maybe another 15 minutes). Before serving, dribble some cinnamon caramel sauce over the top. Freak out. Stir brown sugar and butter in heavy medium saucepan over medium heat until melted and smooth, about 2 minutes. Add cream and cinnamon and bring to simmer. simmer until sauce thickens and is reduced to 1 ½ cups, about 5 minutes. Serve warm. Preheat oven to 325 degrees (350 for high altitude) and grease one large loaf pan; set aside. Mix dry ingredients into a large bowl. Stir in pumpkin and oil. Beat with until well blended. Pour batter into prepared loaf pan and bake in for 1 1/4 hours to 1 1/2 hours. Put toothpick in center to see if bread is done. Let cool before slicing. 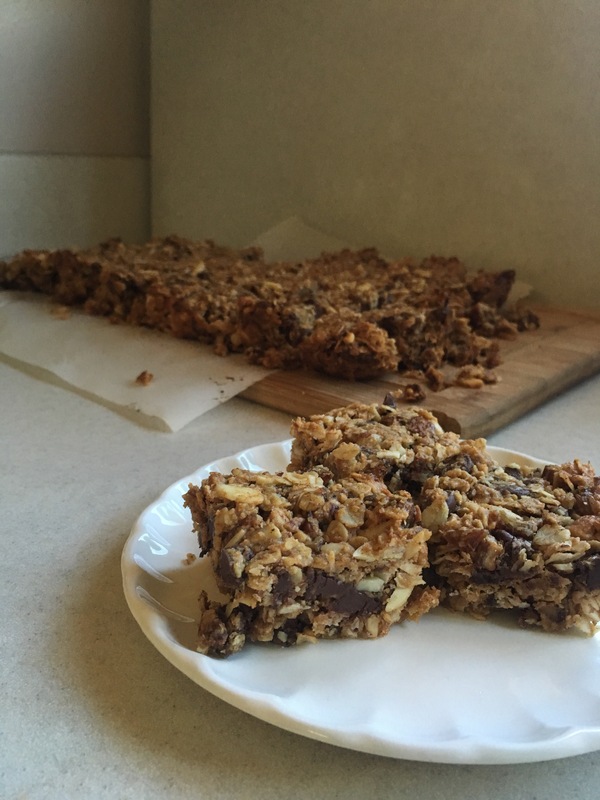 Recipe can be doubled easily, and so delicious when adding chocolate chips or a streusel!